Anything close to your heart will necessarily go beyond your control. Artistic production and visionary experience relates more to life unlike other shows performed against a crowd looking for entertainment and sporting events. For choreographers, the strong images that emerge when they close their eyes will influence their dance and will help bring a change in the dancers’ performance. 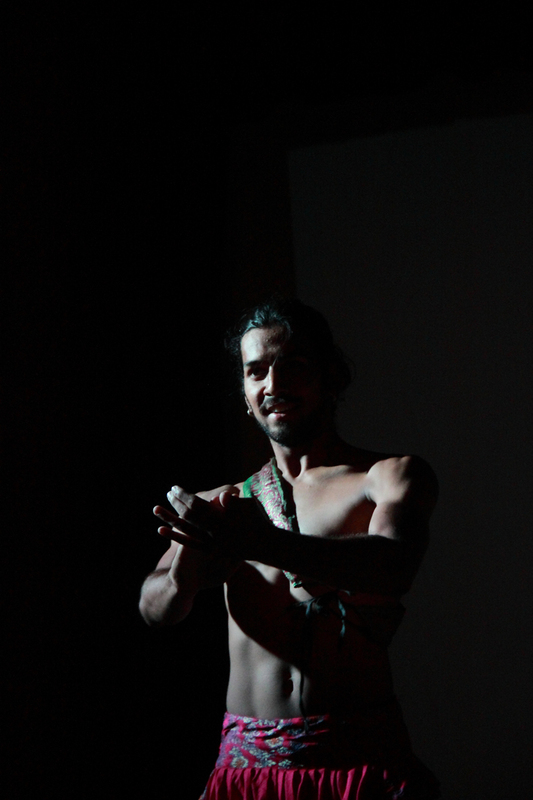 I had a chance of performing tow such choreographies, Manmatha and Wildflower, choreographed by Madhuri and Vishwa respectively, presenting their style of work and thought. Madhuri is very sensitive by nature. As such her choreography was more on the emotional side of the dance which made the dancers’ utilise their mind as well as heart. I being the only male dancer in the choreography did not make ay difference per se. Rather it was more challenging for me to match up to the dancers with a strong classical dance background when it came to the art of expressing (Abhinaya). With Madhuri, it was not just delivering a movement; we also had to convey the emotion along with the movements which gave a different dimension to and completely justified the theme of the dance. Vishwa’s sequence Wildflower was unusual for me. Though I could relate to Vishwa’s vision for the dance sequence and knew where it was leading to, for me, this sequence was unusually challenging with the different upper body distortions combined with the hand and leg movements. This choreography was unusual for its usage of extra deep plies extension and toe balances. Exploring new dimensions to the basic movements had us laughing, crying, feeling weird and making us feel like creatures from a different planet! Whilst working on all these, the most challenging part was to bring in the Indian touch which Vishwa successfully did.